Size 8 Quick Change Swivels with a Flexi Ring pivot point for extra movement. 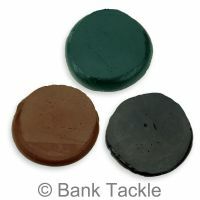 Matt black non glare coating to help prevent spooking wary fish. 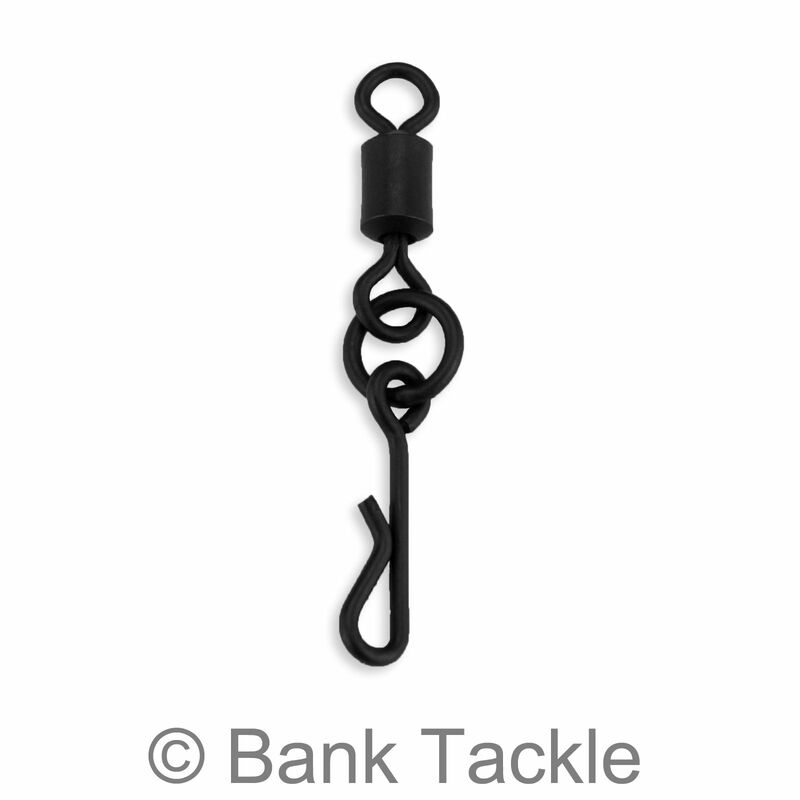 The Quick Change part of these swivels allows you to quickly and easily change your hook link. 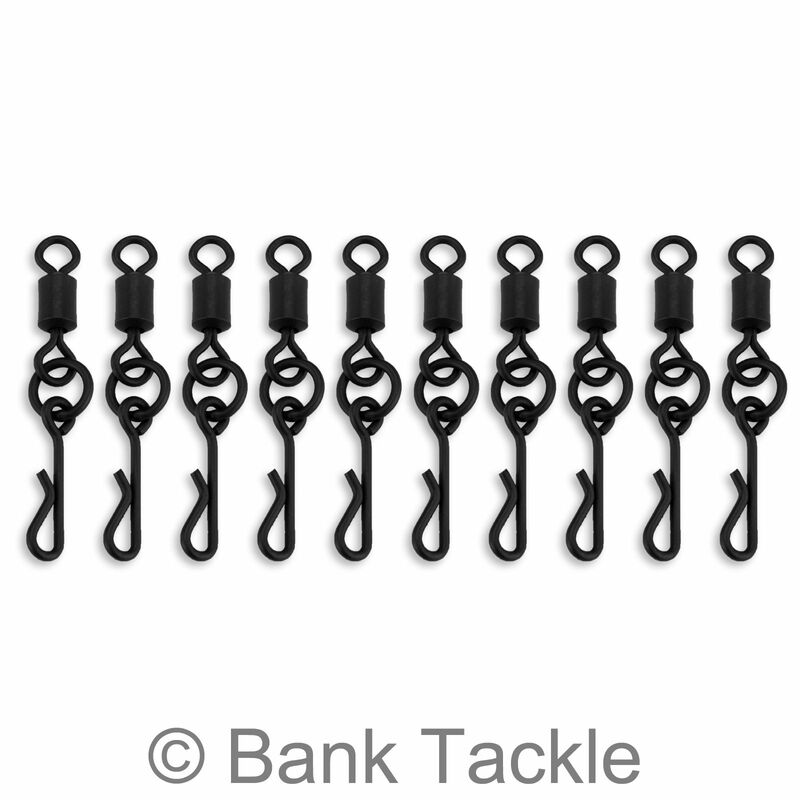 This is especially useful when using stick mixes as it means you do not need to retie your rig each time. 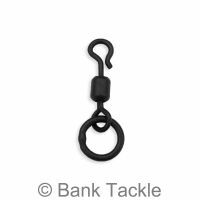 The Flexible "O" Ring provides extra movement and flexibility, resulting in a more natural presentation of your rig and hook bait. 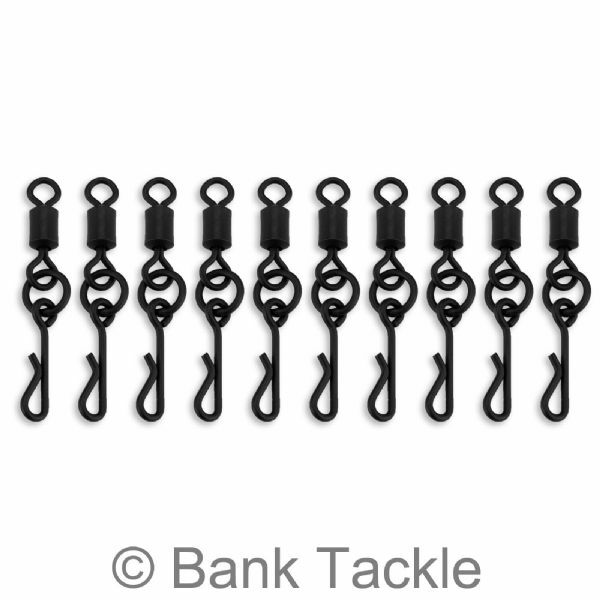 Genuine UK size 8 swivels which fit all standard sized Lead Clips.